Cherry blossom pink on silvery canvas: cool refinement it is. The extraordinary cover material of this notebook creates exciting depth-effects that are constantly challenged by the geometric pattern of the super matte silk screen printing. To top it off: silver metallic book edges. A dainty-futuristique-subversive-chic-modern-geisha kind of look. If there is anything like an ?avantgarde? notebook, then this is it! 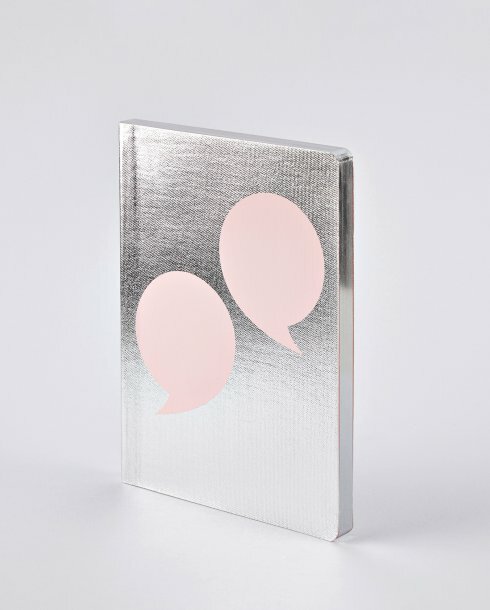 Special flexcover notebook with a cover made of silver canvas, mirror edge colouring and limited edition silk screen print.